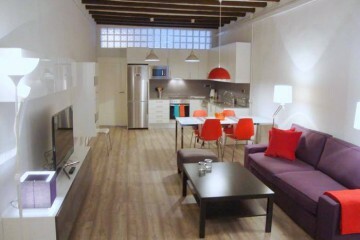 We have a fantastic property with a modern interior design to propose you. 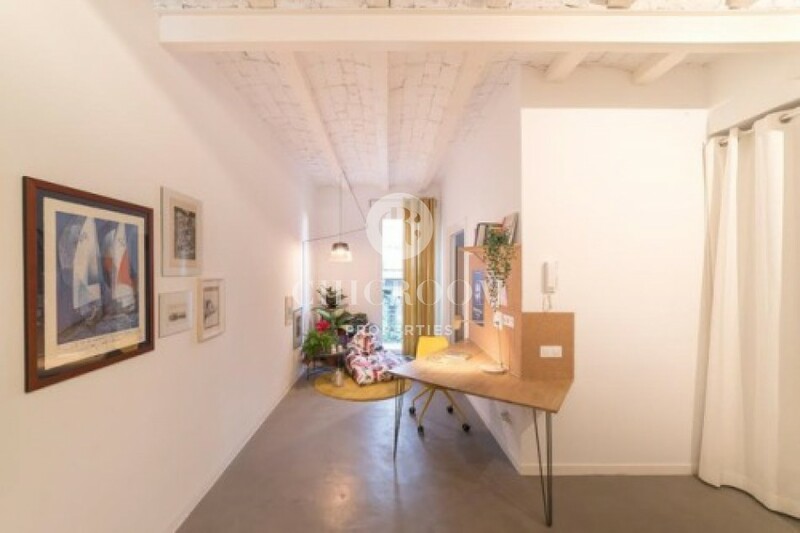 This 2-bedroom apartment for rent in Sants, Barcelona is a unique dwelling with plenty of space and originality. 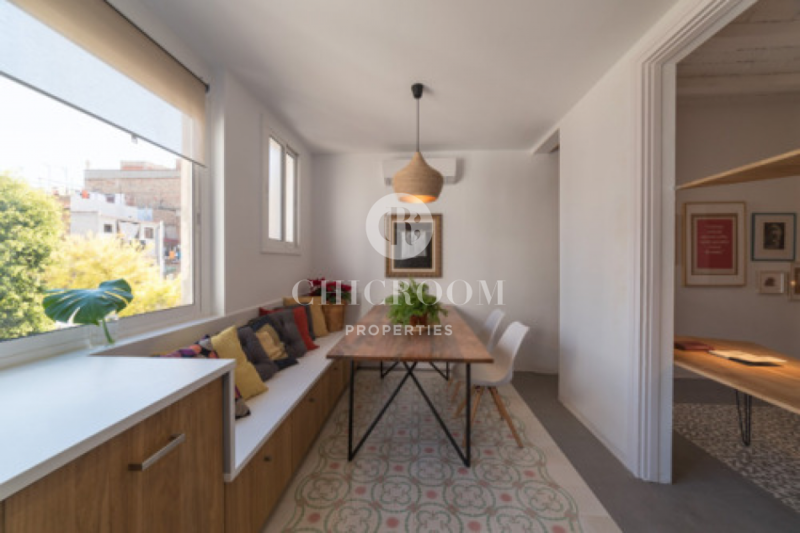 The stylish 75-m2 apartment is a mixture of original Catalan design and the latest trends of interiorism. 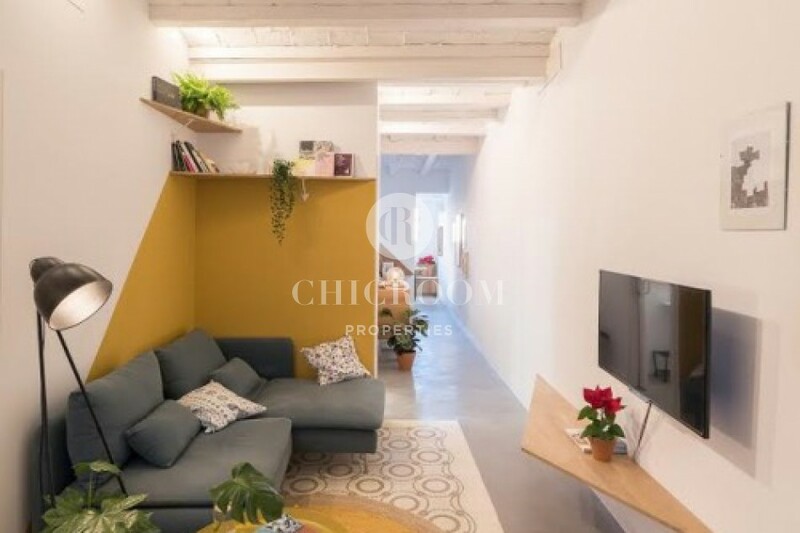 Pay an extra attention to the high ceiling with the traditional Catalan vault with exposed beams and brick ceiling and the hydraulic tiles on the floor. These are special features that bring a lot charm to the space. On top of that, the living main area reminds of those published in interior design magazines. 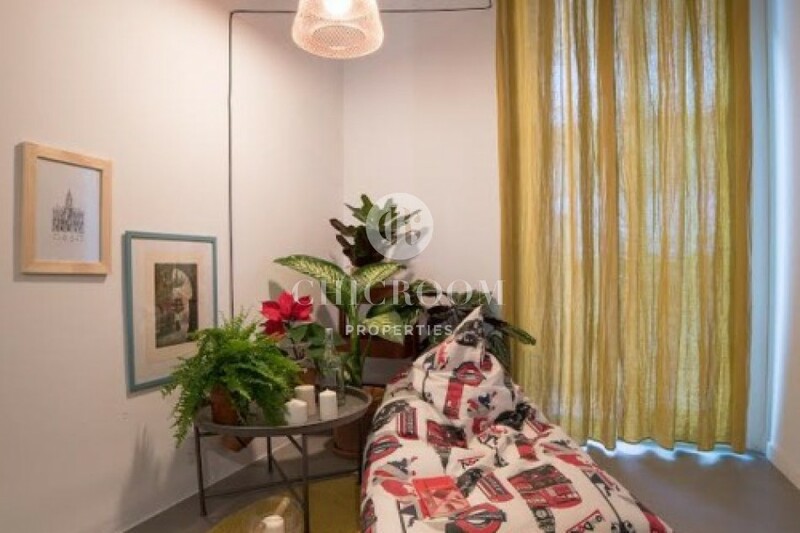 Minimal decoration with plants, designer furniture and bright colours compose the scenery. 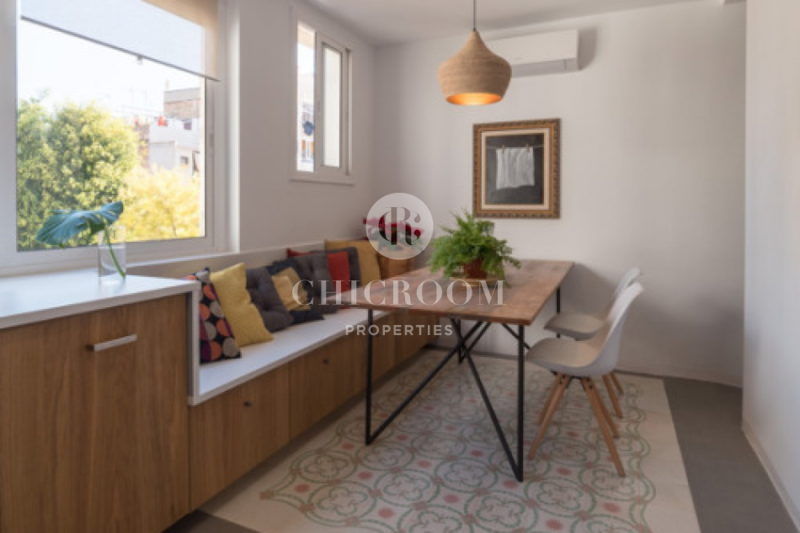 The open-plan organisation with easy connection to every room produces a genuine sensation of freedom and space. 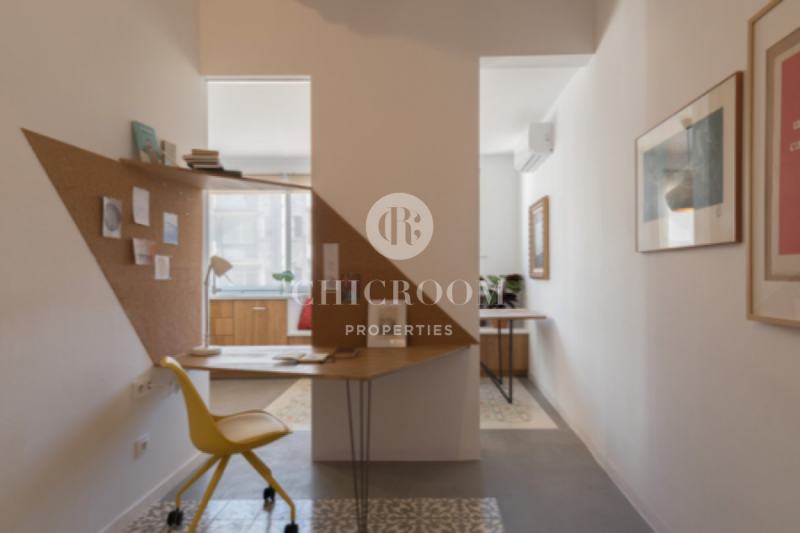 You could walk from through the living room to the bedrooms without obstacle on your way. 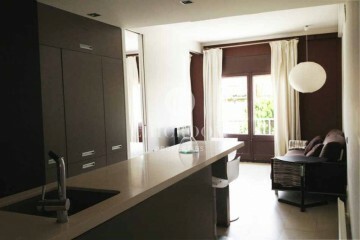 The spacious combo kitchen-dining room is equipped with high-end appliances. Its elegant aspect is emphasised by wooden doors and boards and it gets very luminous thanks to its large windows. Relaxing will become your new hobby in this dwelling. 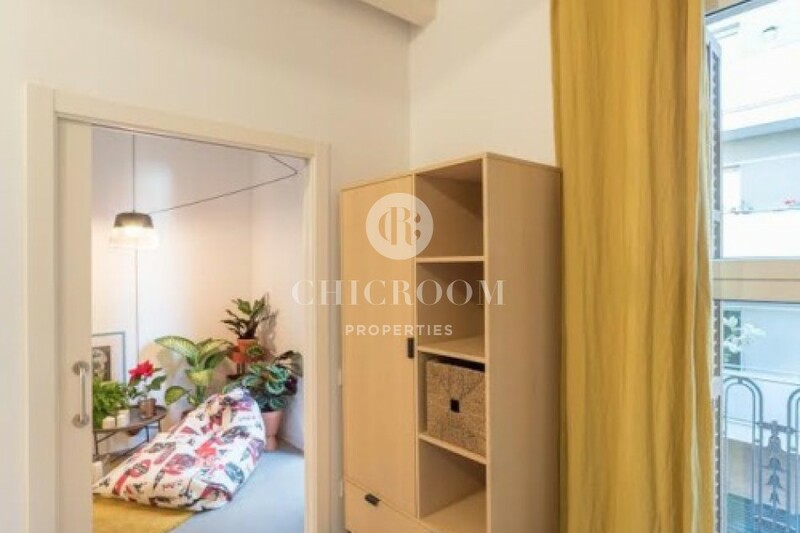 Not only there is cosy living room but also you will find a chillout corner in the corridor. 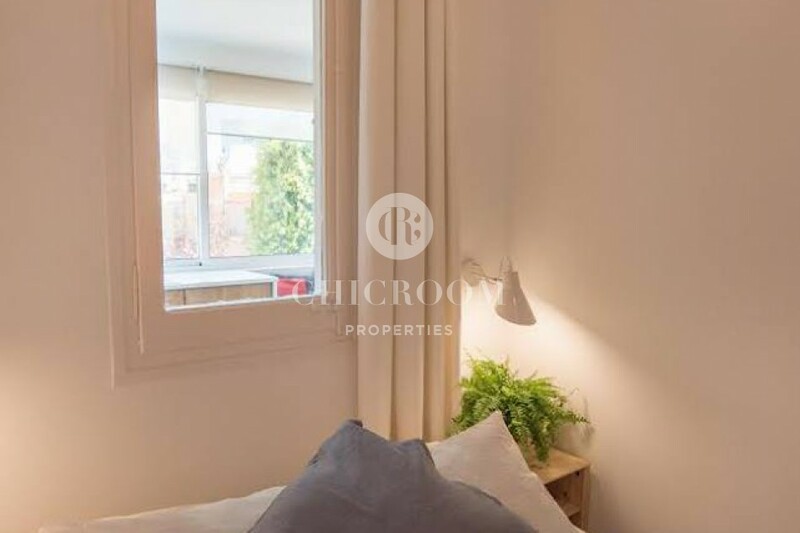 With two double bedrooms with ample double beds comfort has been maximised. One of them has a direct access to a small balcony and the other one enjoys a complete en-suite bathroom for more privacy. 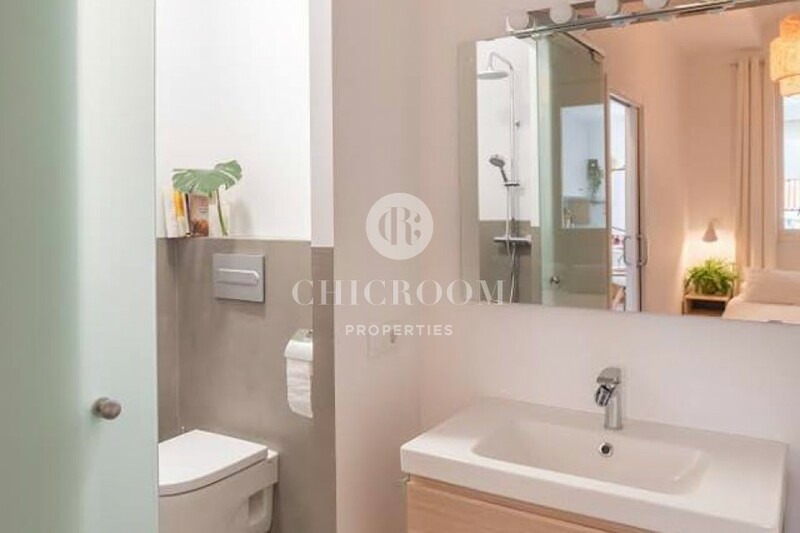 A second bathroom is available for more convenience and for guests. 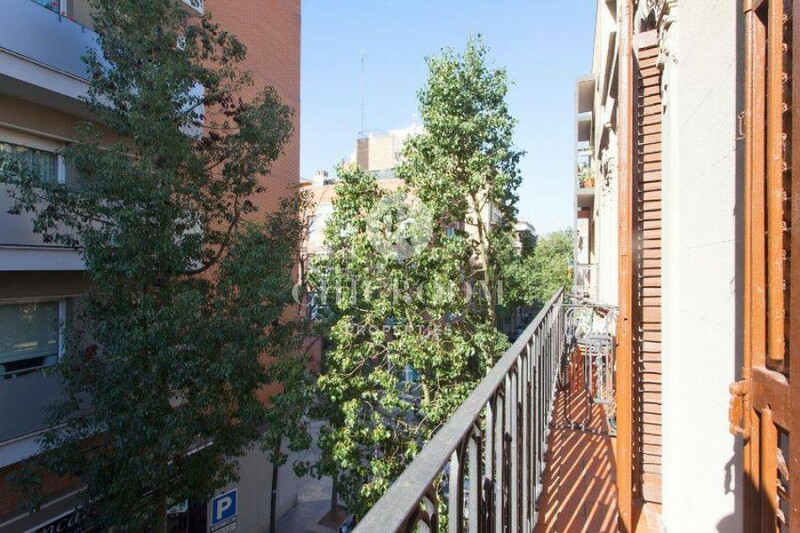 The apartment is located in a quiet street of Sants district in which trees are lined all along to form a green leafy path. Various local shops are in the vicinity as well as bars and restaurants. 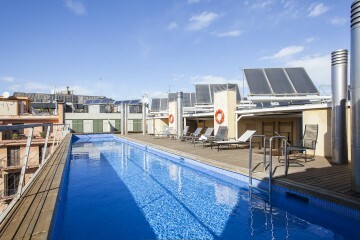 Plaza España is reachable in less than 20 minutes on feet and Sants bus and train station is at 5 minutes away. Move around Barcelona and its surroundings very easily in public transport thank to a large network of bus, train and metro lines. 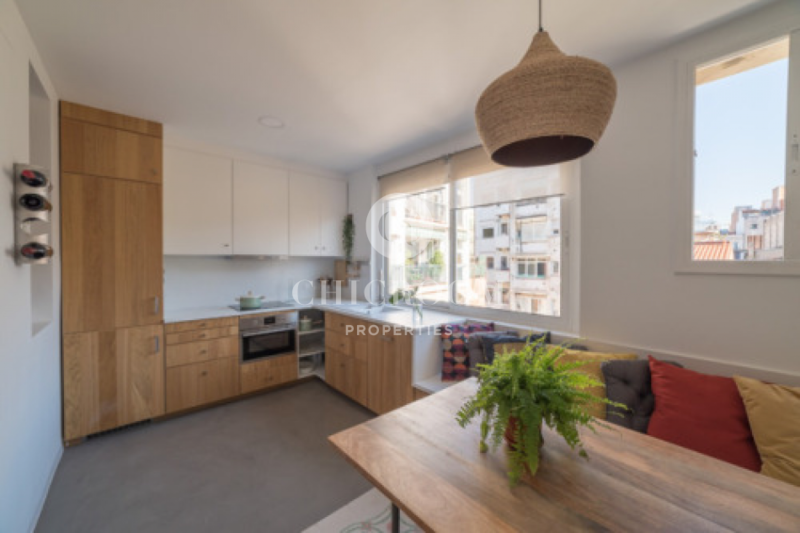 We invite you to organise a visit as soon as possible as this apartment for rent in Sants, Barcelona is very popular among customers.